Dr Christine Cui helps patients in their journey to fall pregnant in her fertility clinic in Melbourne. Here on our homepage you can learn more about the benefits of acupuncture and traditional Chinese medical practices in general, as well as how Dr Cui may be able to help with your symptoms, conditions or health issues. Are you struggling to fall pregnant? Try our IVF acupuncture fertility services in St Kilda for a gentle way to help prepare and nourish your body for pregnancy. We aim to provide a safe, nurturing and welcoming environment for you to discuss your issues and advise a suitable solution. 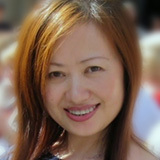 Dr Cui is a highly qualified and experienced practitioner of pregnancy acupuncture. Melbourne couples have been coming to Dr Cui’s clinic for years to help optimise their health through a combination of assessment and Chinese medicine treatment methods in order to create the ideal conditions for your conception. Acupuncture during pregnancy is also recommended to support healthy growth and ease symptoms throughout the nine months. Dr Cui’s Melbourne-based acupuncture fertility clinic provides treatment and care for patients with a range of other hormonal conditions, including (but not limited to) polycystic ovarian syndrome (PCOS), miscarriages, endometriosis, uterine bleeding and symptoms of menopause. Dr Christine Cui is a skilled Chinese Medicine Doctor and has attained a PhD in Chinese Medicine Gynaecology (Reproductive). She has accumulated near 30 years of practice in fertility specialisation and general well-being for both women and men, with her extensive knowledge of the subject reflecting her international experiences in the field. She is committed to offer compassionate care and an unparalleled patient experience specialising in Chinese medicine fertility practices. Dr Christine Cui’s highly-skilled methods are designed to pinpoint deep underlying causes of your health and reproductive issues. Her sophisticated blend of Western and Eastern medical practices will help unblock and regulate your flow of energy, reduce stress levels, and provide ideal conditions for pregnancy to take place and flourish. Discover more about employing the benefits of IVF, acupuncture and Chinese medicine for fertility by contacting the team at our fertility centre today.